When people think of the summer season, the idea of visiting a water park often comes to mind. With summer bringing temperatures often in the 90’s or higher, these water parks are almost necessary in the state of Mississippi. 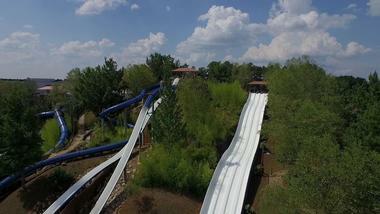 There’s much more to water parks than simply lazy rivers and water slides. Visitors of these water parks will find even more fun to be had during the summer months, from giant water slides and classic lazy rivers to wave pools and activity areas to white sandy beaches and cabanas. Situated in the town of Choctaw, the Geyser Falls Water Theme Park, the massive family water park spans across twenty-three acres, offering a wide variety of amusement, including twelve water slides, a large wave pool, activity areas for kids, a lazy river, and a number of swimming pools. Across the nearly two dozen acres are several acres of sandy white beaches, glistening water, and palm trees. There is also an outdoor stage that sometimes features entertainment, a snack bar, an ice cream parlor, a food court, a retail shop, and a birthday hut and cabanas available for rental. The Grand Paradise Waterpark is located in Collins, Mississippi, and packed full of plenty of water-filled fun for guests of all ages. The wild and wet amusement park encompasses seven acres and includes a variety of attractions, such as the Waddleland Splashpad, Blue Typhoon, and Tropical Splash. 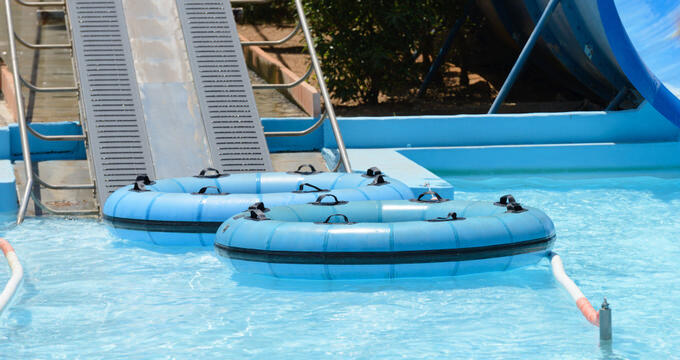 The Wipe Out and Grand Falls Racer will delight any enthusiast of water slides, while the FreeFALL and AquaTWIST are loads of fun for all thrill seekers. For those who want a more relaxing water park experience, floating along the Paradise River is a great option. The park also has covered facilities for group. 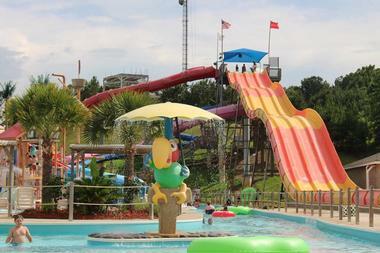 The Gulf Islands Waterpark, situated in the town of Gulfport in Mississippi, offers hours of family fun with attractions for guests of any age, including a lazy river, water slides, and a splash zone area designed specifically for small children. There are miles of water slides, such as the Cat Island Catapult, Ship Island Wreck, Camille Cutter, and Horn Island Blaster. Younger guests can find plenty of kid-friendly attractions, and visitors can grab a bit at the Petit Bois Island Cafe. 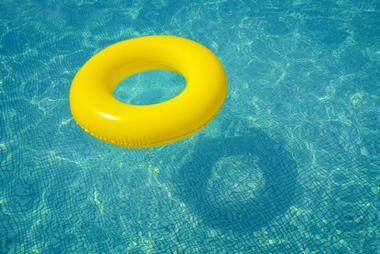 Lockers and cabanas can be rented at the water park for a fee, but parking, tubes, and life jackets are free. Pep’s Point Water Park is located in the city of Hattiesburg, in the small Eatonville community. Open during the summer months of May through September, the water park is family-owned and operated, and has been run for more than twenty years by the same family. The park consists of a spring-fed lake along with a relaxing sandy beach. Activities in the family water park include tubing, paddle boats, canoes, swimming, a water playground, and three types of slides. There are also picnic areas in the park that contain grills, as well as a miniature golf course, volleyball court, basketball court, and a game room.